Explore 100 years of revelation—from the black-and-white silent footage that started it all to the almost magical photography techniques seen today in shows like Planet Earth. Ever since 1907, when a flickering film about birds enthralled a movie audience, we've been fascinated by watching the natural world on film. For 100 years wildlife films have taken us to places and shown us things we would never be able to see—the excitement, the strangeness, and the danger of the wild. Today, our interest in the wonders of the natural world is stronger than ever. Accompanying the lavish BBC two-hour special, Top 100 Wildlife Moments dives into the archives to find the 100 wildlife moments that best celebrate the glories and the eccentricities of this astonishingly popular and enduring culture. Discover the history of the wildlife moving image: the first heady days when an ant juggling a matchbox was big box office, the charismatic and sometimes controversial celebrity hosts, the astonishing behavior of animals and plants, the boggling oddities of nature, and the now extinct animals that poignantly only exist on film. From famous faces of wildlife TV to extraordinary animal (and plant) behavior, natural history filming has changed the way we look at and think about our world. It's all here—many rare images, some never-before-seen—so weird, you couldn't make it up; so wonderful, you wouldn't want to miss it. 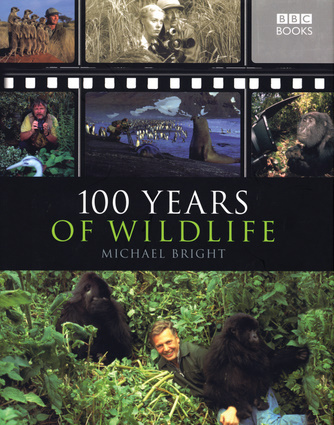 Michael Bright is a senior producer with the BBC and the author of more than 75 books including 1001 Natural Wonders, Andes to Amazon (Wild South America), Animal Language, Wild Caribbean, and The Wildlife Year.